It seems this holiday season is dinosaur season, because I’ve had quite a few custom commissions for them. I’m thrilled to see people so excited for my little prehistoric murderbirds. I always enjoy custom color commissions because my customers almost always come up with such interesting color combinations or patterns. They’re a lot of fun. 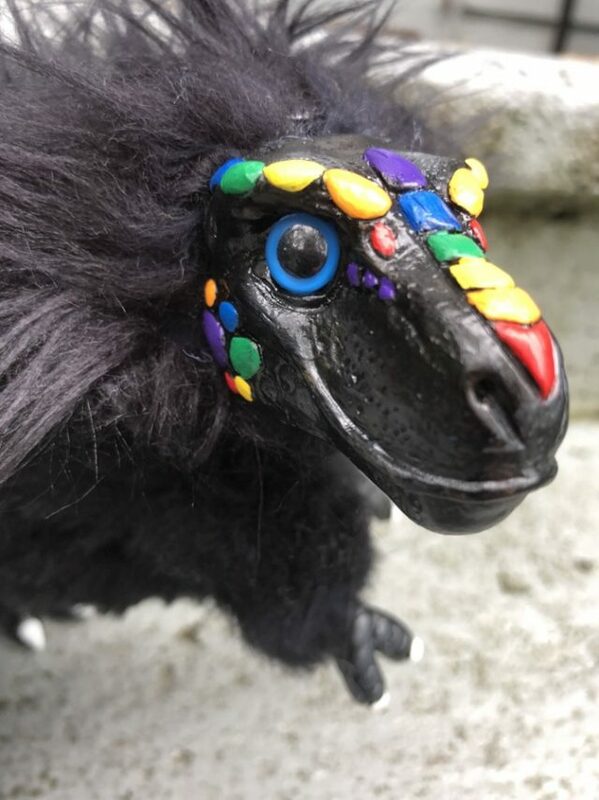 So here are some photos of the fluffy theropod babies I got to make for the 2018 holiday season. 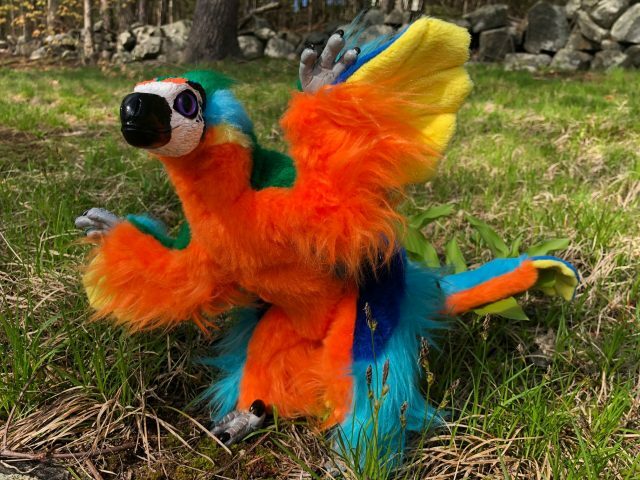 Haku Style River Spirit Dragon Art Doll Has Flown In! As soon as I premiered the wingless Eastern Dragons earlier this year, I started getting requests from customers to paint up that dragon pattern to look like Haku from Spirited Away. 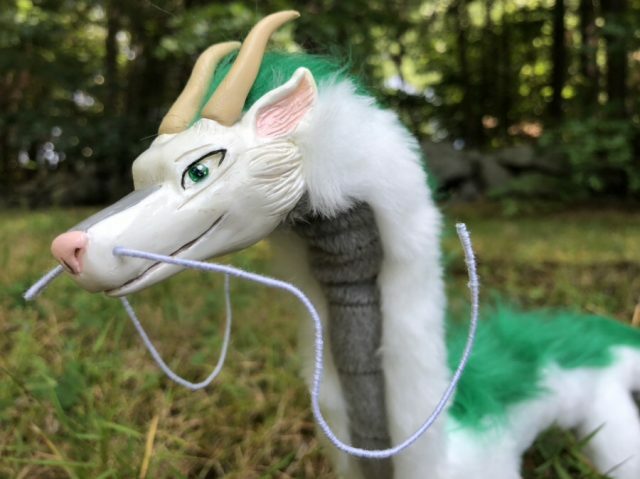 I actually experimented with using Haku’s colors to simply make a white and green Eastern Dragon, but it just didn’t look right to me and I was sure it wouldn’t fulfill peoples’ expectations. And so, rather than just making a “palette swap” version of the existing Eastern Dragon in Haku’s colors, I chose to create an all-new River Spirit Dragon instead! I’ve had a lot of commissions this summer, and I’m so excited to have gotten my first custom color Baby T-rex. I’m really fond of these little guys, and this particular commissioner wanted one that was extremely eye catching rainbow! 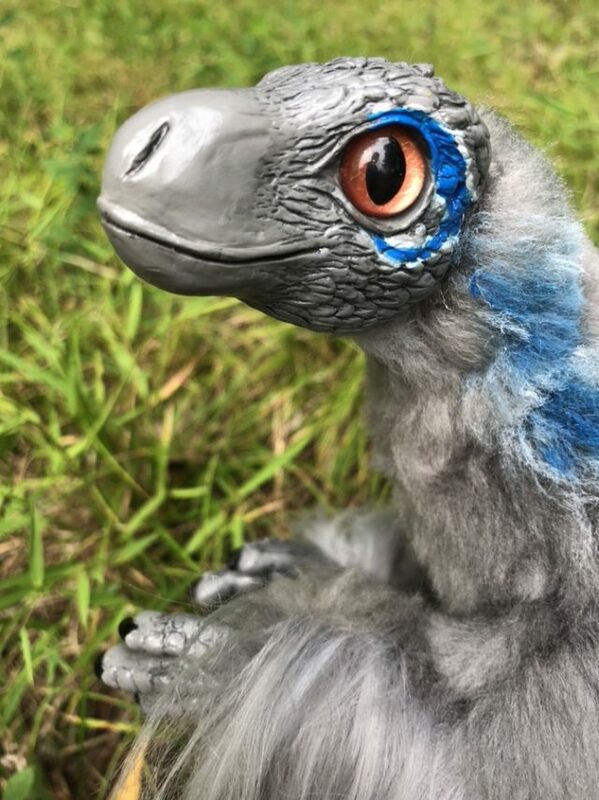 Jurassic World Blue Inspired Raptor Plush Art Doll! 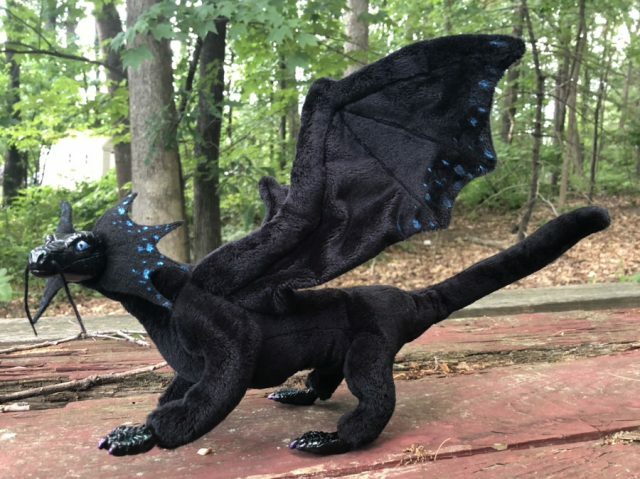 New Winged Celestial Dragon Poseable Art Doll! Even though I depleted the majority of my dragons, eastern dragons and pipe foxes at Anime Boston 2018 in April, I haven’t had the opportunity to fully replenish my Etsy shop yet because I’ve been fulfilling a lot of custom commissions that customers requested at the event and through my shop. And one of the customs that I’m most proud of is this new Asian-styled dragon model, inspired by the Temeraire series of novels! 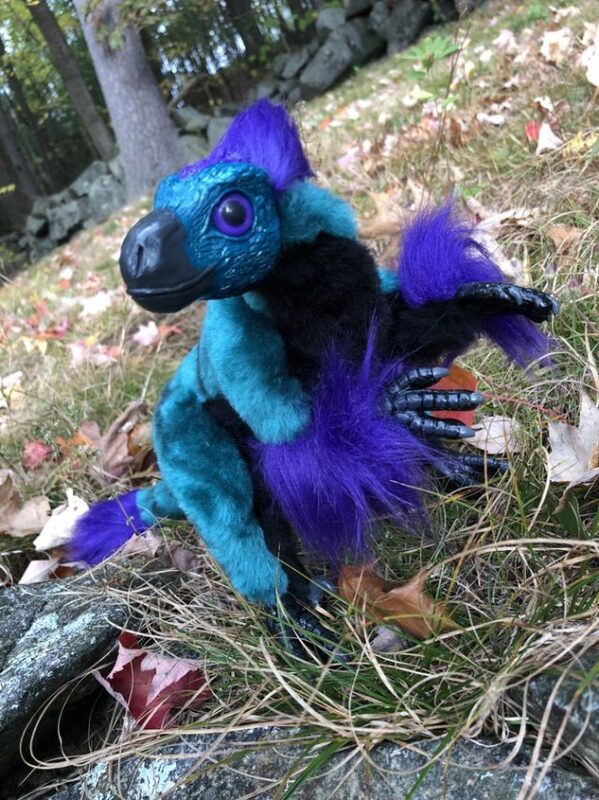 Custom Microraptor Art Doll Commission!